At Mark Michael Diamond Designs we will teach you about the 4 C's; cut, color, carat, and clarity so you can shop with confidence. Diamond Color Actually Means Lack of Color. The diamond color evaluation of most gem-quality diamonds is based on the absence of color. A chemically pure and structurally perfect diamond has no hue, like a drop of pure water, and consequently, a higher value. GIA's D-to-Z diamond color-grading system measures the degree of colorlessness by comparing a stone under controlled lighting and precise viewing conditions to masterstones, which are stones of established color value. A Diamond's Cut Unleashes Its Light. 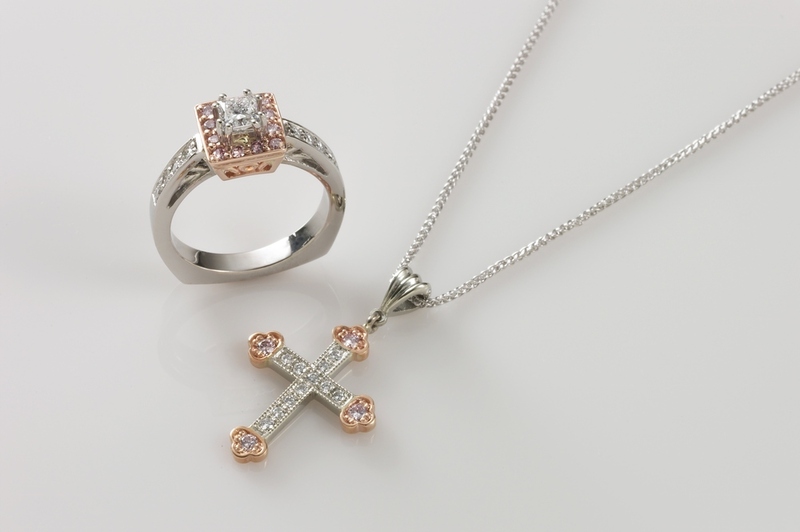 Diamonds are renowned for their ability to transmit light and sparkle so intensely. We often think of a diamond's cut as shape (round, emerald, pear, etc. ), but a diamond's cut grade is really about how well a diamond's facets interact with light. Only one in every 10,000 diamonds possesses natural color and is referred to as a fancy color diamond. For this reason, fancy color diamonds are purchased almost exclusively for the intensity and distribution of the diamond's color. Criteria considered when purchasing a white or colorless diamond, such as cut proportions and clarity, are less important when purchasing a fancy color diamond. While colorless, near colorless, faint and light diamond colors are graded from the face-down position. Laboratory graders assess fancy color diamonds from the face-up or top view of the diamond. 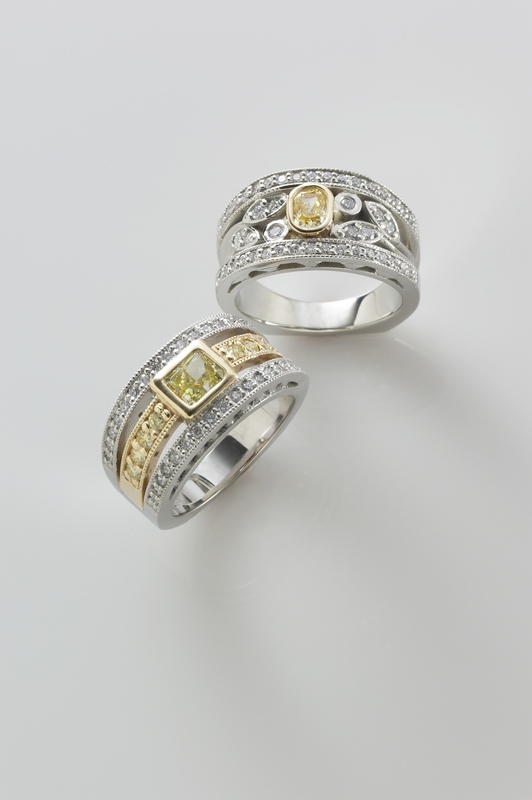 Graders evaluate the hue, tone, and saturation of each diamond. Secondary or modifying colors are also assessed, as they impact the overall hue of the fancy color. For example, a yellow diamond may have a green secondary, and will subsequently be graded as "Fancy Greenish Yellow." A blue diamond may have a grey secondary color, and will be graded as "Fancy Greyish Blue" and so on. Trace elements, structural irregularities, and radiation generally cause fancy diamond color. 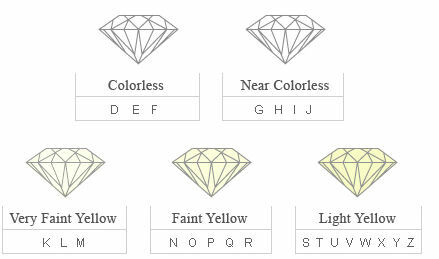 Here is a breakdown of common causes of natural fancy diamond color. Brown, Pink, and Red Diamonds - Colored graining, which results from structural irregularities in the crystal lattice--sometimes in combination with an impurity.